The Mississippi Watershed Management Organization (MWMO), in conjunction with public and private stakeholders, coordinated planning, design, and construction of the Towerside District Stormwater System in a rapidly-redeveloping neighborhood of Minneapolis, Minnesota. The first phase, serving 8 acres of brownfield redevelopment, went online in 2016. MWMO’s objective was to build an integrated district stormwater system with added public greenspace to meet local stormwater requirements at a cost equal to or less than the cost to meet local requirements on each parcel individually. Through careful planning and stakeholder engagement this objective was met, achieving 15% cost savings to meet requirements, which was used to fund infrastructure for stormwater reuse to provide irrigation to private developments, community garden, and city-owned boulevard plantings. The planning, design, construction, and multi-party contractual process took over 3 years, beginning with early high-level concepts that demonstrated the potential cost-benefits of a district system, proving the possibility of encouraging private development, ending with final design coordinated with multiple public, utility, and private development construction projects. The project included four primary components: conveyance between private property, treatment in filtration basins, underground storage, and stormwater reuse system for irrigation of the private developments, all layered within an artful stormwater park. MWMO and project partners are designing the expansion of Towerside District Stormwater System to treat stormwater from 20 additional acres of future development and provide a series of interconnected stormwater parks. This presentation will highlight the data analysis, design, engineering, public/private partnership, and contractual components to assure longevity of the facility. Nathan Campeau is a Water Resources Engineer with Barr Engineering Co., spending the last 14 years working on a variety of water resources projects focusing on the modeling and design of low impact development and green infrastructure practices in the urban environment. Nathan's assistance to clients has included designing low impact stormwater practices to treat and infiltrate urban runoff, developing hydrologic and hydraulic models to analyze existing and design new stormwater conveyance systems, and designing flood control systems. Nathan helps plan and design ecological designs in urban and brownfield spaces, including the Towerside District Stormwater System designed for the Mississippi Watershed Management Organization. Nathan is an accredited Envision™ Sustainability Professional and a registered professional engineer. Bio: Nathan Campeau is a Water Resources Engineer with Barr Engineering Co., spending the last 14 years working on a variety of water resources projects focusing on the modeling and design of low impact development and green infrastructure practices in the urban environment. Nathan's assistance to clients has included designing low impact stormwater practices to treat and infiltrate urban runoff, developing hydrologic and hydraulic models to analyze existing and design new stormwater conveyance systems, and designing flood control systems. Nathan helps plan and design ecological designs in urban and brownfield spaces, including the Towerside District Stormwater System designed for the Mississippi Watershed Management Organization. 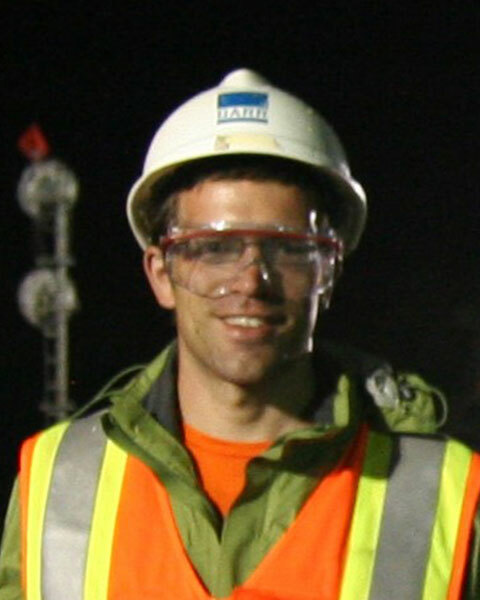 Nathan is an accredited Envision™ Sustainability Professional and a registered professional engineer.